Isaiah Industries is a collection of brands that represent integrity, sustainability, energy efficiency, and durability. We’re in the business of providing the very best, permanent roofing solutions for homes across North America, and the globe. With operations based in Piqua Ohio, we have also established our company in the communities of Dubuque, Iowa, Louisville, Kentucky, and Lancaster, Texas. Spread out a bit, but still very much connected and grounded in principle, objectives, and service. We’ve been around for awhile. Isaiah Industries Inc. was founded in 1980 but the root of our business is even older…ancient, actually…but still relevant to everything we do today. Our history is rich, and our commitment is deep. We believe that our staff is absolutely the roofing industry’s finest. Our commitment to quality products AND quality relationships, right down to the very last detail, makes a difference and helps protect people’s homes, places of worship, and places of business. We hope that this verse describes our business practices while giving us all hope and assurance of a better future. Learn more about our company core values. Charles Martin Hall and associates form the Pittsburgh Reduction Company, which became Aluminum Company of America (ALCOA) in 1907. 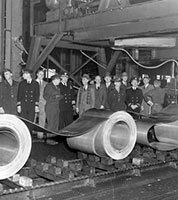 United States Steel Corporation was founded, ushering in the modern day mass production of steel in continuous coil form for many industries and purposes. First production of aluminum sheet in continuous coil form. Reynolds Metals was formed in Louisville, KY, primarily to manufacture aluminum foil for cigarette packaging. Birth of Donald E. Miller, founder, in Elida, Ohio. 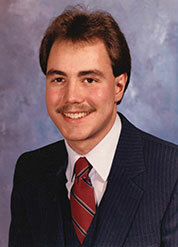 Don was active on his family farm and attended Ohio Northern University, majoring in Mechanical Engineering. 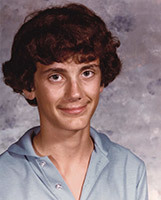 He held a variety of positions in the packaging, transportation, appliance, and building products industries and always had the entrepreneurial bug, owning two different businesses before the age of 40. Don was involved with the engineering and development of modern age voting machines, the production line to wrap Gaines Burger dog food patties, and the fryers used by Famous Recipe Fried Chicken among other things. Commercial development of continuous coil coating as a way to apply paints and colors to the surface of metal. This technology is at the root of today’s technology which allows metal roofing and other products to be produced from pre-painted aluminum and steel. 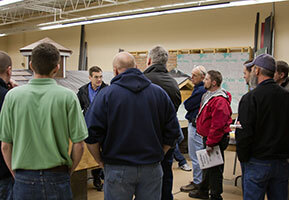 Development of the Rustic Shingle product line by Kaiser Aluminum. 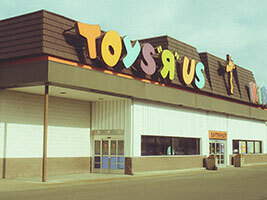 The product would go on to be used by commercial chains including Toys R Us, Dunkin Donuts, and TCBY Yogurt. Development of the Rough Shake product line by Kaiser Aluminum. The product would go on to hallmark many commercial establishments including Pizza Hut, Dairy Queen, 7-Eleven, and International House of Pancakes. Development of the Classic and Shadowcrest aluminum shingle lines by Reynolds Metals. 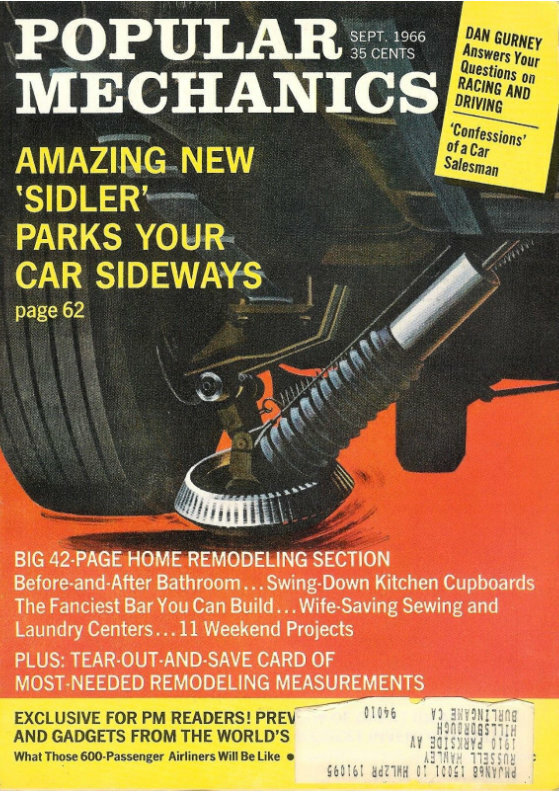 Don Miller begins working for the Stolle Corporation in Sidney, Ohio which later became a division of ALCOA. One of his early projects with the company was to develop high speed stamping and deep drawing equipment for the original two-piece aluminum beverage can. ALCOA Building Products introduces their Country Cedar Shake accent siding line. 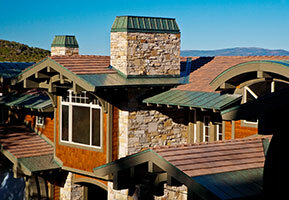 ALCOA Building Products adds roofing accessories to its Country Cedar Shake line. 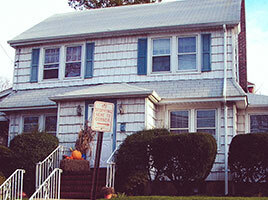 Isaiah Industries, Inc. was formed as Classic Products, Inc. to be a manufacturer of residential vinyl siding. 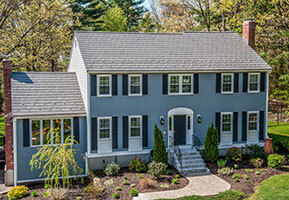 Late that year, when the Rustic Shingle and Rough Shake aluminum shingle product lines became available from Kaiser Aluminum, the decision was made to acquire those lines and enter the roofing industry instead of pursuing vinyl siding. Equipment and tooling for the Rustic Shingle and Rough Shake aluminum shingle product lines, as well as for a variety of accessories, siding, soffit, and fascia is moved from the Kaiser Aluminum plant in Toledo, Ohio to Classic Products in Piqua, Ohio. Todd Miller begins working part-time at the company in manufacturing while a high school junior. Classic Products introduces its Weathered Wood color series as an option on Rustic Shingle. This was the first multi-hued metal shingle ever developed. Todd Miller and Kelly Joseph became friends at Bluffton College and spend time sitting in Musselman Library reading the Wall Street Journal while dreaming and scheming of someday owning a business. Classic Products commissions the Florida Solar Energy Center to study the energy efficiency of formed metal roofing. The results corroborated what customers had been saying for many years – formed metal shingles result in lower attic heat gain as well as energy savings. 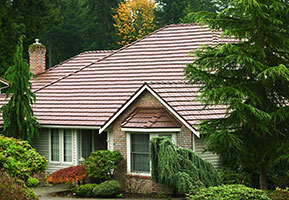 Purchase of Classic and Shadowcrest aluminum shingle lines from Reynolds Metals. Kelly Joseph joins the company as Controller. Classic Products aggressively expands its export business to Canada, Japan, and several Caribbean countries. Over time, the company's exports would grow to be 40% of total sales. The company moves from its original location in an older leased building in Piqua, Ohio to a modern 78,000 square foot manufacturing facility. The 1978-constructed building is the last part of Piqua’s heritage as an underwear and clothing manufacturer. A new 5,000 square foot office building is constructed alongside the manufacturing plant. Became the first US residential metal roofing manufacturer to switch its product line to the industry-leading PVDF paint chemistry, known for its durability including fade and chalk resistance. Todd Miller walks in his father’s footsteps, becoming President of Classic Products, Inc. Donald Miller becomes Chief Executive Officer and Kelly Joseph becomes Chief Financial Officer. Company acquires equipment and tooling for the Country Cedar Shake product line from ALCOA Building Products. 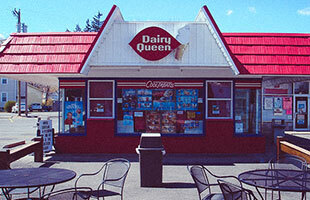 The product is renamed Country Manor Shake. The manufacturing facility is expanded by 45,000 square feet. Todd Miller becomes actively involved as a member of Metal Construction Association, the industry’s leading trade association. 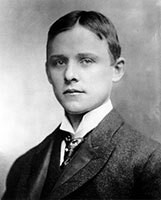 He would later serve as board member and Chair of the organization. Classic Products, Inc. becomes the first US importer of northern European synthetic underlayments, creating a high-growth change in the roofing industry. Along with other industry leaders and visionaries, Todd Miller becomes a founding member of the Metal Roofing Alliance, an organization purposed for expanding the recognition and use of residential metal roofing. National Steel begins production of the Centura Steel Shingle line. Working in partnership with BASF, Classic Products develops its proprietary ThermoBond PVDF powder coating, bringing realistic and natural texture, looks, and color variation to the metal shingle industry. The ThermoBond finish is developed as an alternative to stone coatings which the company does not wish to pursue. 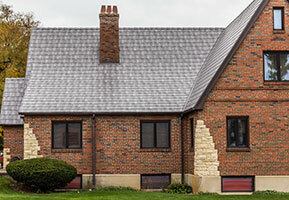 At this time, the company converted the former Reynolds Aluminum Classic Shingle into the TimberCreek Shake steel roofing product, later renamed KasselShake, offering ThermoBond as a primary color option. 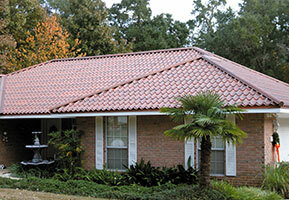 Company develops the low profile Oxford Shingle product line based upon one of its original products, Rough Shake. Classic Products is the first major producer of residential metal roofing to begin using heat-reflective pigments in its coatings, putting the energy efficiency of metal roofing “on the map” and eventually leading to the federal tax credit for reflective roofing. Precoat Metals starts producing the KasselWood Steel Shingle, noted for its innovative design and beauty. The Great American Shake product line is acquired from Great American Manufacturing in Houston, Texas. This product was originally developed by Alcan Aluminum in the early 1970s. 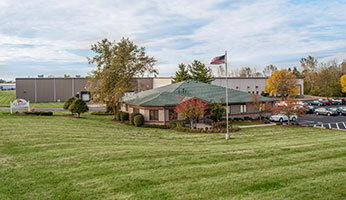 Acquisition of the 60,000 square foot former Hammer Graphics building in Piqua, Ohio, becoming the company's sales and marketing office, and national training center. 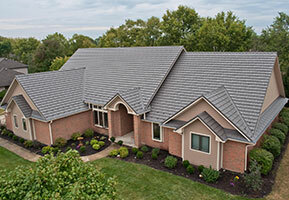 Classic Metal Roofing Systems of Kentuckiana, based in Louisville, KY is established as the company’s one “company store” which both sells and installs the company’s products in Kentucky as well as southern Indiana and Ohio. Long time team member Joe Knife becomes General Manager of the new operation and Ron Drake, long time experienced installer, becomes Production Manager. 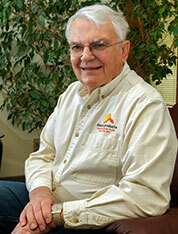 Don Miller is recognized for inclusion in the Metal Roofing Magazine Hall of Fame. Official ribbon cutting of the Jeffrey A. Mescher Memorial Training Facility to train thousands of qualified metal roofing technicians. Company acquires tooling for the Centura Steel Shingle line from US Steel. The product was originally developed by National Steel in the late 1990s. Acquisition of the KasselWood Steel Shingle production line from Precoat Metals. Production remains in Dubuque, Iowa. 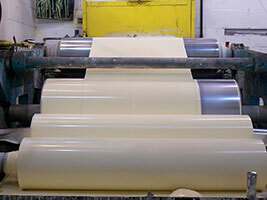 Company acquires the GrandeTile production line from Scandinavian Profiling. The line is a proven product design developed in the 1990s, in Finland. 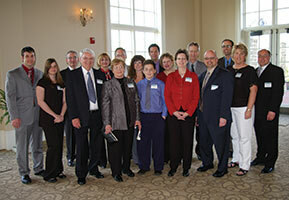 Isaiah Industries, Inc. recognized as Ohio’s Jeffrey Butland Family-Owned Business of the Year. Our Rustic Shingle celebrates its 50th year in production as a residential roofing product. We know of no other product that has been so very time-proven without major revisions or failures. Company introduces its Green American Home brand to offer a variety of metal building materials and other energy efficient products to homeowners. AskToddMiller.com is launched as a way for our own industry guru to answer questions for homeowners and contractors about all types of metal roofing as well as ventilation. 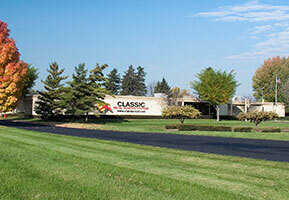 Classic Products, Inc. registers its name change to Isaiah Industries, Inc. to reflect the company’s growth and expansion with various divisions. The Isaiah name was chosen after the great Biblical prophet Isaiah, reflecting the owners’ Christian beliefs. Two scriptures from the book of Isaiah are often quoted by the company. Isaiah 56:1 says: "This is what the LORD says: "Be just and fair to all. Do what is right and good, for I am coming soon to rescue you” and Isaiah 43:19 says: "See, I am doing a new thing! Now it springs up; do you not perceive it? I am making a way in the wilderness and streams in the wasteland." These scriptures are used by Isaiah Industries to remind its entire team that it is about more than just producing, selling, and shipping product. The company is committed to having a positive impact on the world and building meaningful relationships with all whom it encounters. Isaiah Industries, Inc. and associated companies were purchased from Donald Miller (founder) by his son, Todd Miller, and Kelly Joseph. The Great American Shake production line is relocated from Houston, Texas to the main manufacturing plant in Piqua, Ohio. Renoworks Visualizer is now available on the company’s consumer websites so homeowners can see what their homes would look like with a beautiful metal roof. The Great American Shake product line is adapted to also be produced in steel, creating the Great American Steel Shake. Isaiah Industries partners with Greene Street United Methodist Church in Piqua, Ohio to provide staff one day a week for the church’s food pantry serving the needs of local residents. Company acquires the name and rights to the RoofAquaGuard family of high quality roofing underlayments and membranes. Death of Donald E. Miller, founder of Isaiah Industries, Inc. The company remains committed to continuing Don’s legacy of innovation and customer service. The company introduces its Residential Metal Roofing Executive Report, designed to raise the level of the entire industry by educating contractors as to the benefits and installation of metal roofing. Isaiah Industries continues its leadership position in coating technology by expanding its high-def “Cedar” print coat offerings on the KasselWood, Centura, and Great American Steel Shake product lines while introducing the Slate Rock patterned colors on Centura, KasselWood, and Oxford Shingle. This marks the company’s entry into the fast-growing slate look-alike product niche. All metal roofing product lines manufactured by Isaiah Industries are granted “Premium Certified” status by Metal Construction Association. Isaiah is one of only five manufacturers with any products approved by this program that recognizes quality in raw materials, production, and processes. RoofingForHomeownersAssociations.com is launched to offer assistance to HOA’s and ARB’s that want to consider the benefits of metal roofing for their communities. The website includes sample covenant language. TinyHouseRoof.com is started so the company can help the growing number of homeowners building tiny homes analyze and meet the unique roofing and ventilation needs of their homes. Isaiah Industries launches new corporate website, identifying our history, defining our core values, and establishing Isaiah as a growing group of manufacturing and distribution companies. Acquired the assets of ARS Building Supply serving Texas and surrounding states. Re-named the company as ARS Metal Supply. ARS is our oldest distributor and will continue to provide great service to customers with our products and other products. 2018 Isaiah Industries expands its product line with the Universal Standing Seam (USS) steel roofing system. Available in 12” and 16” widths, USS features an integral concealed fastening hem.